I have two photos of Ice Coffee to try to demonstrate the cost of living in Mexico is about three to four times higher times too high. Mexico is a very poor country, however the price of products and service are trying to be like their big neighbor the USA, this type of pricing is outrageously expensive for a Mexican making 10 dollars per day. Mexico is a very class system country, rich and poor, and the rich try to ignore the people on the Mountain. 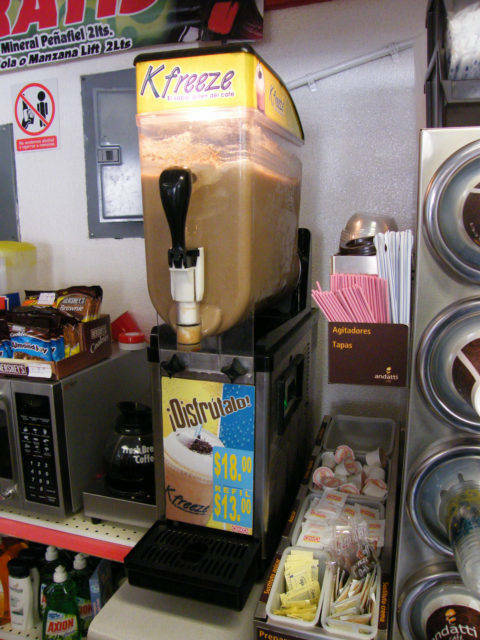 I stopped in an OXXO convenience store by chance, was very excited to see my favorite Ice Coffee machine, the same one as in the Philippines. I then looked at the price of 18 Pesos and thought, this is outrageous, this is 1.80 U.S. dollars more or less and about four time more than Thailand or the Philippines. Thailand and the Philippines is a much better educated and more prosperous thriving place than Mexico, hard to imagine any normal person in Mexico getting paid 5-15 dollars per day giving up 1.80 dollars to have an ice coffee. 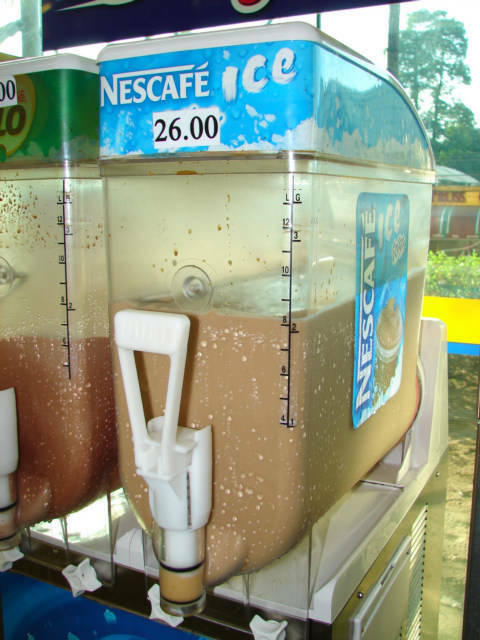 18 Peso or about 1.80 U.S. Dollar for Ice Coffee sold in a OXXO convenience store near Acapulco, Mexico. Ice Coffee sold in Mini Mart for 26 Peso of Philippines money, I think about .55 cents US Dollars in the Malate neighborhood, across from the very modern Robinsons Mall in Manila, Philippines. Both stores are comparable, both coffees almost identical right down to the machine. The Nescafe in the Philippines is more of a brand name coffee so should be more expensive, but is less. Money exchange, Euros, Dollars this is all a lot of crap in a way, the cost of living is what is important, yes the tourist do not care, they are on a two week look at me, I am in Mexico vacation, they pay these prices, the store get the money, and the poor countrymen cannot afford to live the same. The Philippines has about triple the density of humans per square kilometers and is probably more like Mexico City in ways.